APDCL Jobs Recruitment Notification 2018.Assam Power Distribution Company Limited, APDCL inviting applications for the positions of assistant manager, Junior manager and medical officer jobs in electrical, civil, mechanical, information technology and human resource departments.Interested and Eligible candidates can apply for the positions. Number of vacancies to be filled in APDCL is 276. MBBS from a recognized university is the qualification for Medical officer post. Diploma holders in electrical/ mechanical/ civil can apply for Joint manager post. BE/B.tech/ MBA/ graduation/MBA holders can apply for assistant manager post. In between 21 to 44 years candidates can apply for Group-A posts. In between 18 to 44 year candidates can apply for Group-B posts. Selected candidates for Group-A posts will get pay of Rs.64,000/- every month. Selected candidates for Group-B posts will get pay of Rs.47,000/- every month. 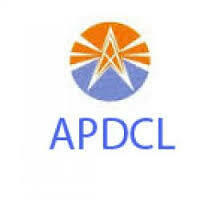 Mode of applying for APDCL recruitment is through online. The online portal link will be active from 05th September 2018 to 25th September 2018.
https://www.apdcl.org/irj/go/km/docs/internet/ASSAM/webpage/pages/Career.html is the link for contenders in order to apply.